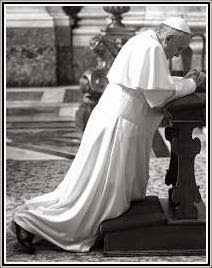 "Quapropter, postquam supplices etiam atque etiam ad Deum admovimus preces, ac Veritatis Spiritus lumen invocavimus, ad Omnipotentis Dei gloriam, qui peculiarem benevolentiam suam Mariae Virgini dilargitus est, ad sui Filii honorem, immortalis saeculorum Regis ac peccati mortisque victoris, ad eiusdem augustae Matris augendam gloriam et ad totius Ecclesiae gaudium exsultationemque, auctoritate Domini Nostri Iesu Christi, Beatorum Apostolorum Petri et Pauli ac Nostra pronuntiamus, declaramus et definimus divinitus revelatum dogma esse : Immaculatam Deiparam semper Virginem Mariam, expleto terrestris vitae cursu, fuisse corpore et anima ad caelestem gloriam assumptam". 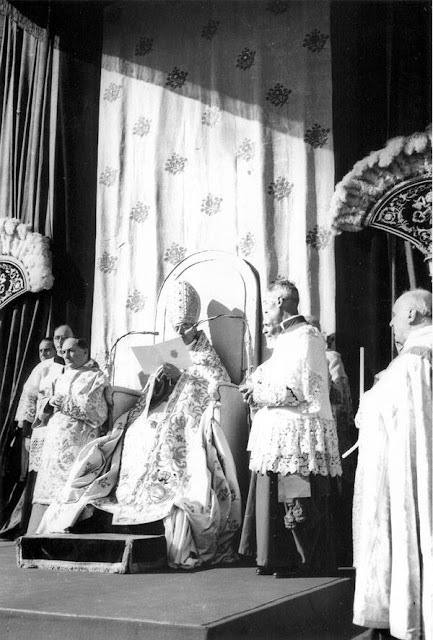 What a pontiff this Venerable Pius XII was! Please pray for us! 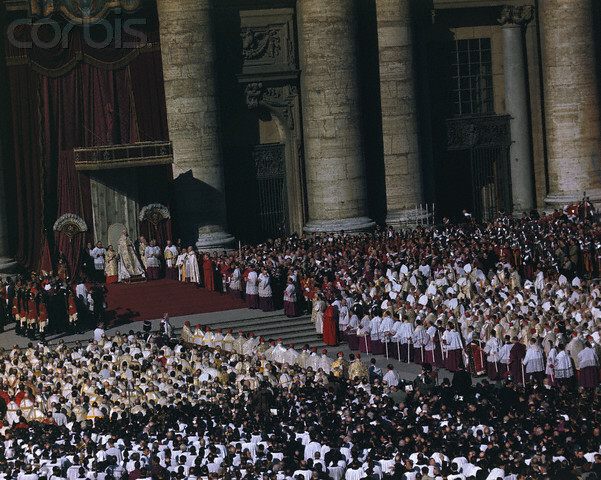 I just accidentally deleted a comment that started with "Paul VI." This was an accident. Please feel free to comment again. 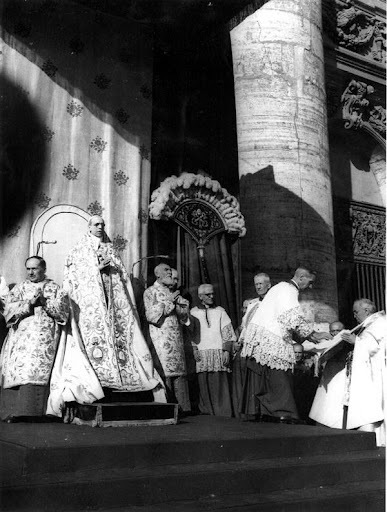 That photograph from 1950 illustrates better than a hundred blog articles the degree to which the ancient Church has embraced the ideals and ceremonials of the modern world. Agreed, Frederick Dempsey. 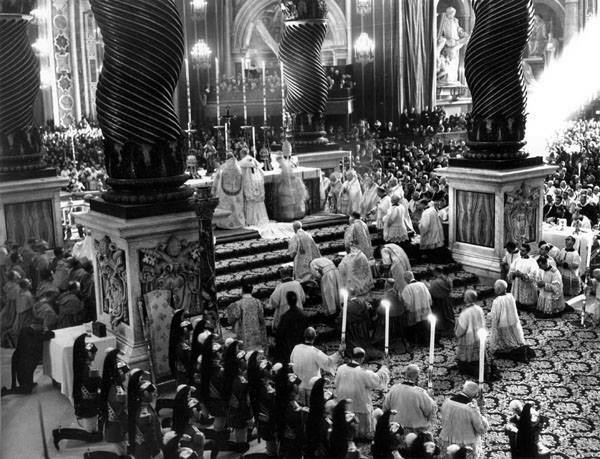 Moreover, the true Roman liturgy never needs WORDS for people to understand its meaning. The reformers apparently didn't get that. 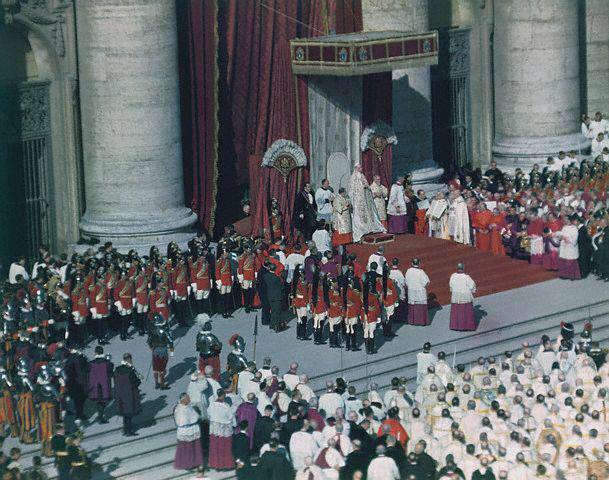 The ancient liturgy explains itself to the eyes and ears and heart, much as this photo does here. 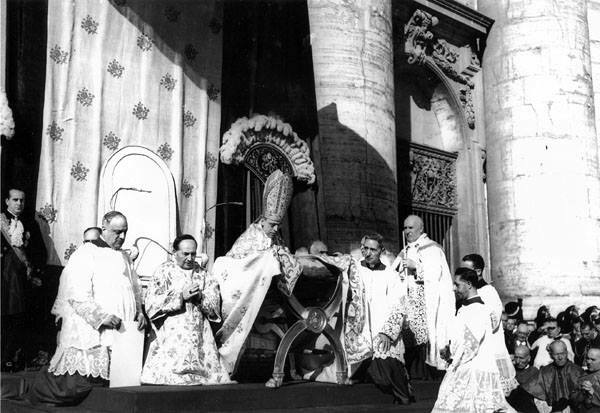 To experience the ancient liturgy is to be lifted up in to It. Explanations pale when True Meaning arrives, clothed in King's raiment. 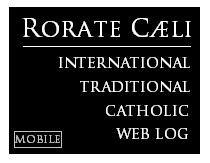 Happy Feast Day to rorate and all! 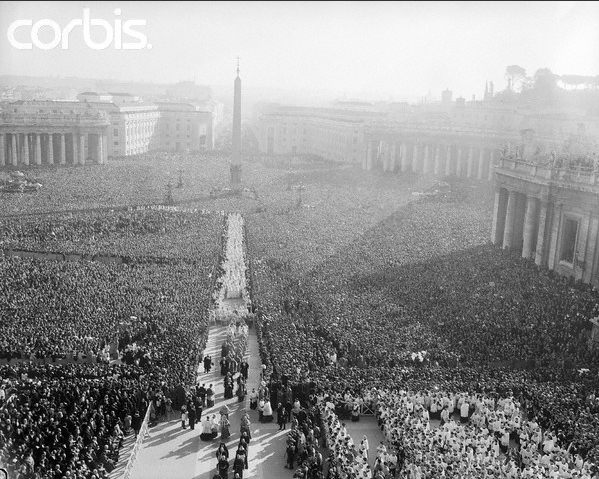 When I watch videos and see photos such as these, it causes me a greater sense of appreciation for Traditional Catholicism. This is a glimpse of the beauty of Heaven. 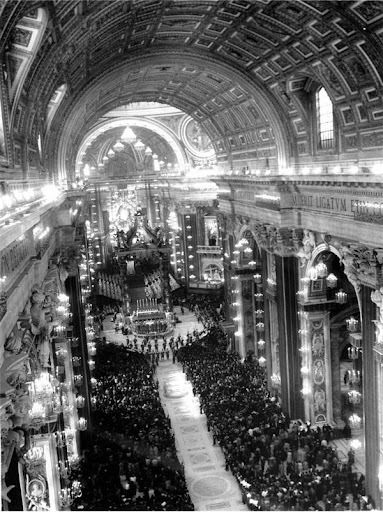 If modernists were given a vision of heaven they may not want to go there, as they would not be allowed by God to destroy its beauty.